Market Hall Performing Arts Centre Inc. was born in early 1998, the result of a determined effort to prevent the building at George and Charlotte streets from being converted into a bingo hall. The organization is celebrating its 20th anniversary with a special celebration on January 12, 2018. 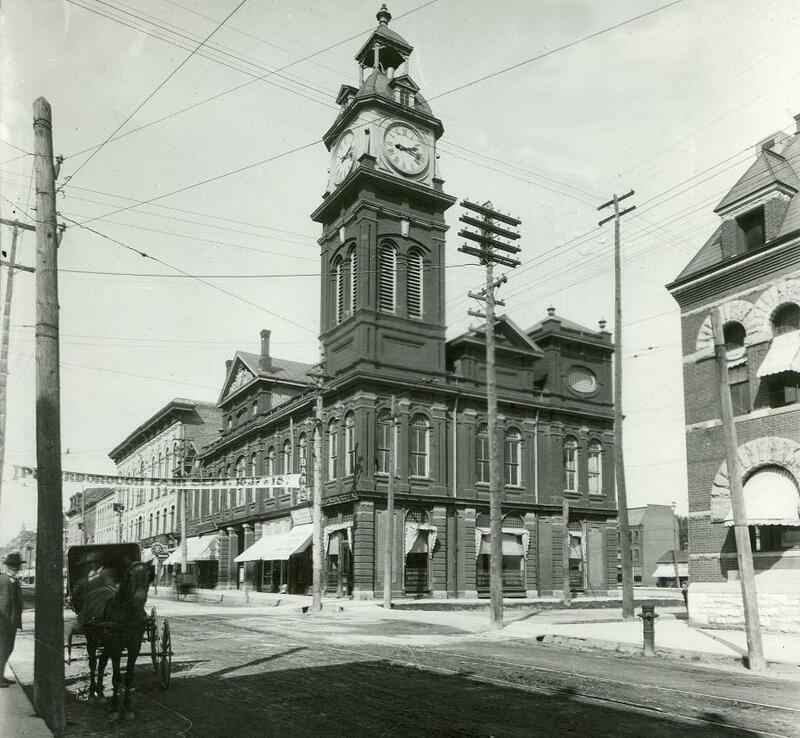 For close to 130 years, Peterborough’s Market Hall has been home to a number of tenants, each bringing a wide variety of events and activities to the space below the majestic downtown clock tower. When: Friday, January 12, 2018 at 8 p.m. Featuring circus acts and theatre, dancers and singers, musicians and speakers, slideshow and film, and cake and champagne. Tickets are available at the Market Hall Box Office, by phone at 705-749-1146, or online at markethall.org. 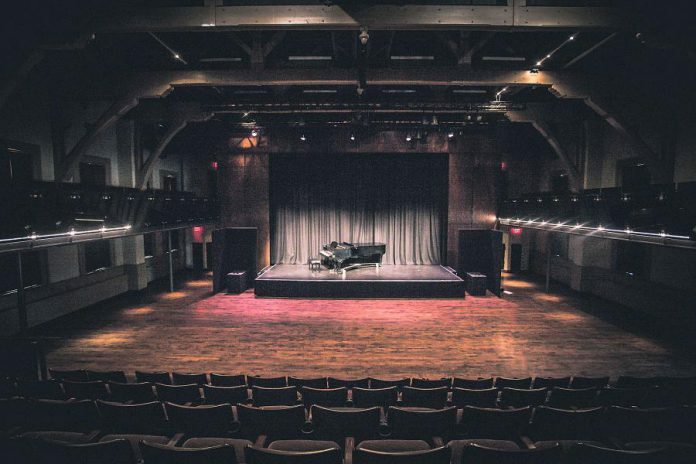 More recently, however, the historic building has been home to something else; something vital to its continued existence as a premier performance space: stability. Market Hall Performing Arts Centre Inc. was born in early 1998, the result of a determined effort to prevent the building at George and Charlotte streets from being converted into a bingo hall. On January 12, 2018, Lights Up! will celebrate the 20th anniversary of that new birth, bringing together key players, past and present, to share memories and toast the possibilities of the future. Tickets to the 8 p.m. event cost $20 — $25 for cabaret table seating — at the Market Hall box office, online at wmarkethall.org, or by phone 705-749-1146 to reserve. Mary Kate Edwards, Carried Away, Kate Story and Ryan Kerr, Mysterious Entity, Peterborough Academy Of Circus Arts, and Dr. Tom Phillips are some of the musicians, theatre performers, and speakers who will be joining the celebration. Market Hall prior to its 2009 renovation. Among those front-and-centre will be Charlie Werger, not only in his capacity as a current Market Hall board member but as a leading figure with Friends of Market Hall, a small but determined group that formed in 1997 to save the building from a bingo fate and that laid down the foundation for an incorporated non-profit entity to oversee and manage the space. “Artspace had left (Market Hall) in the mid 1990s and then Arbor Theatre took over but it left in 1997,” recalls Werger. “The owners of Peterborough Square proposed to make it a downtown bingo hall. That’s when my wife (Jane) and I jumped in along with (Public Energy founder) Bill Kimball. After 1950, the upstairs of Market Hall became a gymnasium. 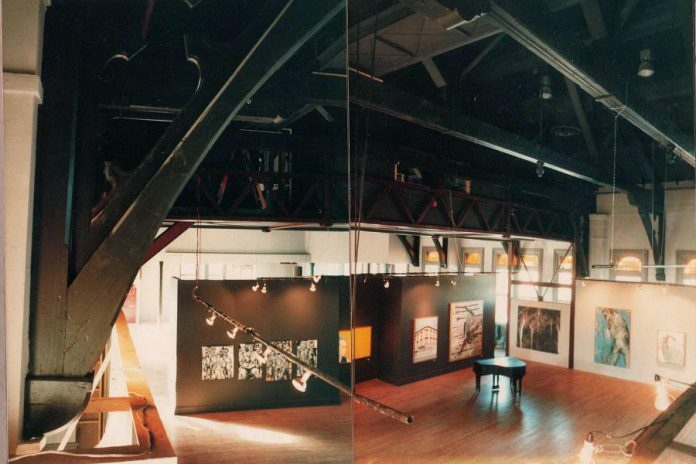 In 1984, a million dollar capital project converted the gymnasium into a performing arts centre, operated by Artspace from 1984 until 1994 and then by Arbor Theatre. After Friends of Market Hall secured the go-ahead from the downtown mall’s owner to proceed with its plan to assume the space and make a go of it, events were staged beginning in the fall of 1997. In addition, a board was formed to oversee the venture and, in early 1998, incorporation was secured. 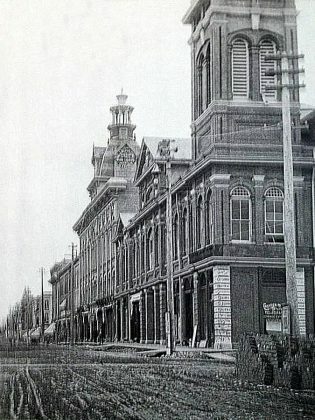 Market Hall was originally built for the City of Peterborough’s farmers’ market to replace the much smaller market that had been operating since construction of Peterborough’s first town hall (1851) on Water Street. 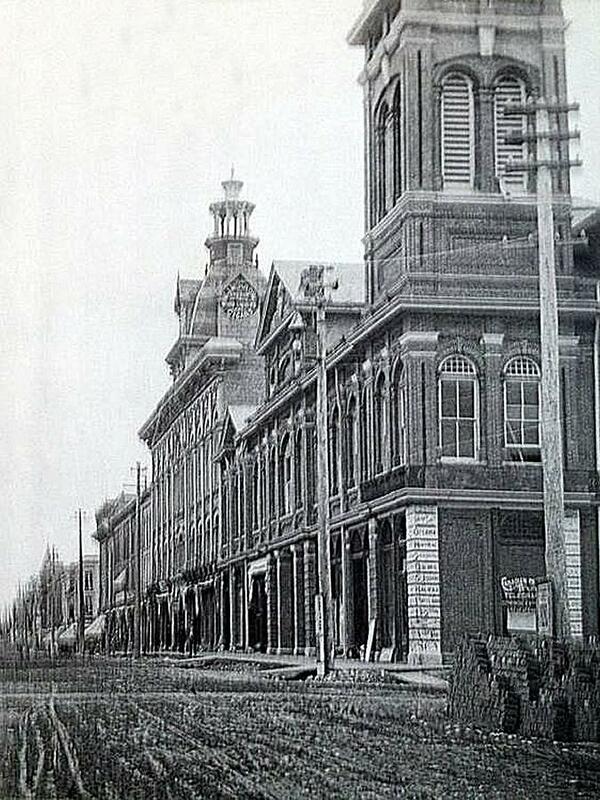 Mayor James Stevenson laid the cornerstone of the Market Hall in the fall of 1889 and it officially opened in 1890. 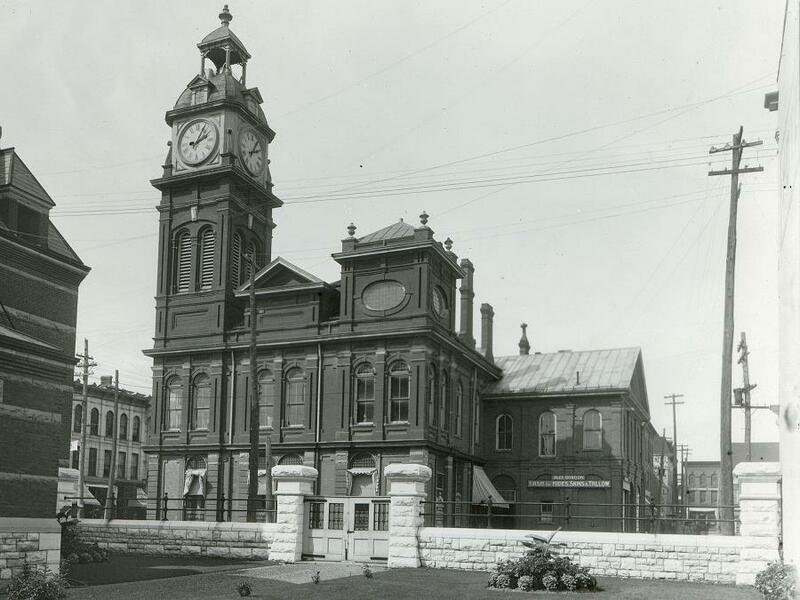 At the same time Friends of Market Hall formed, Professor Tom Symons — inaugural Trent University president and past chair of the Historic Sites and Monuments Board of Canada — founded and headed the Save The Market Hall Campaign. That effort raised money for the City to acquire the building and restore the structure’s exterior façade. In the fall of 2015, Werger, then board chair, reached out to Hogan, offering him the Market Hall general manager position, unfilled since Karen August’s 2012 departure. “Anybody who asks me if I like my job, I say ‘No, I don’t … I love it,” says Hogan. The Market Hall was provincially designated as a heritage building in 1977. It is one of only a few 19th-century Ontario market buildings still in existence. The sign in the background reads “Alex Gordon – Cash for Hides, Skins & Tallow”. Both Hogan and Werger agree the timing of the anniversary celebration couldn’t be better in light of the past year, which saw two longtime downtown live music venues — The Pig’s Ear and The Spill — close their doors. “I hope that people see this (milestone) as good news,” says Hogan. Architect John Belcher designed the large two storey brick building with an imposing four-faced clock tower. Pictured in the background is the adjoining Bradburn Opera House, which was demolished in the 1970s to make way for Peterborough Square. “We had our largest growth rate in our organization’s history over the last year, so we are definitely growing and offering more programming. We’re not slowing down. If anything, we’re taking more on. We’re trying all the time to make ourselves more visible. That’s always a challenge on a shoestring marketing budget. We’ve ramped our efforts over the last couple of years. From street level, we were quite hidden in place for a couple of years. And soon, adds Hogan, the clock tower which crowns Market Hall will be illuminated, much the same as Peterborough City Hall is. Looking ahead, Werger says challenges remain — operating costs aren’t going down, for example — and that makes for “a tough go” but adds there is reason for optimism. Those who can’t make it, adds Werger, are urged to share their favourite Market Hall memory from the last 20 years, in 100 words or less, and email it to markethallmemories@gmail.com for inclusion at the anniversary celebration. A ticket and telegraphy office for the Canadian Pacific Railway in the Market Hall. 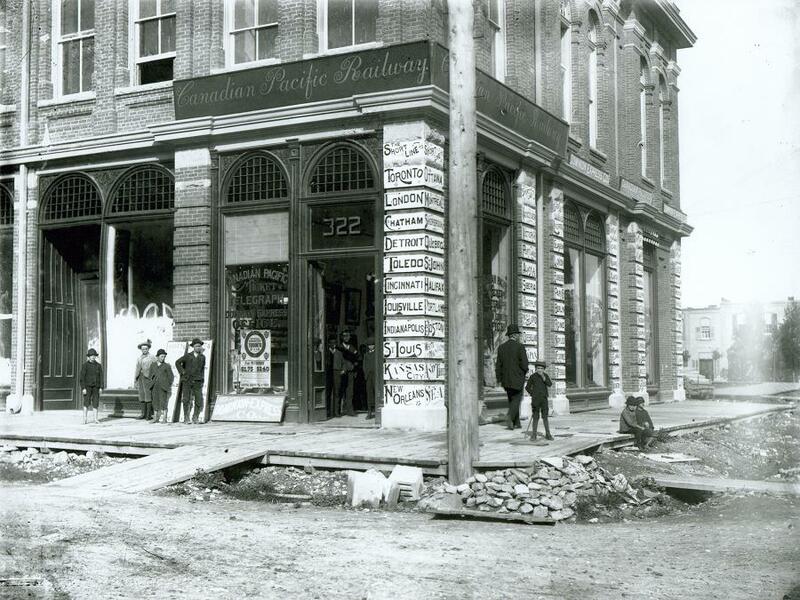 The former Canadian Pacific Railway train station located nearby at George and Dalhousie Streets was built in 1884 when Peterborough was a major stop on the Montréal to Toronto line. Those who do attend will gather in a building that was designed by architect John Belcher and cost $11,000 to construct. When it opened in 1890, managed by the City, the second floor housed an indoor market while the ground floor was comprised of retail stores. Come 1950, the market was gone, a gymnasium in its place. Some 25 years later, the City sold the building to the owners of Peterborough Square. In 1984, a major capital project saw the gymnasium converted into a performing space operated initially by Artspace and later Arbor Theatre. 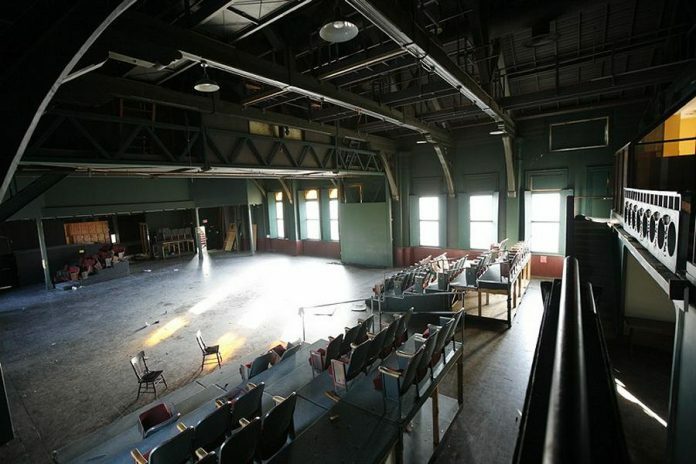 There things sat until 1997 when the bingo hall “threat” spurred the small but determined group to take action and preserve the hall as performing arts space. Thanks both to them and to Chad Hogan and his team at the Market Hall, the community of Peterborough has a chance to celebrate 20 years of Market Hall Performing Arts Centre on January 12, 2018. All photos courtesy of Market Hall Performing Arts Centre. Paul Rellinger a.k.a Relly is an award-winning journalist and longtime former newspaper editor still searching for the perfect lead. When he's not putting pen to paper, Paul is on a sincere but woefully futile quest to own every postage stamp ever issued. A rabid reader of history, Paul claims to know who killed JFK but can't say out of fear for the safety of his oh so supportive wife Mary, his three wonderful kids and his three spirited grandchildren. Paul counts among his passions Peterborough's rich live music scene, the Toronto Maple Leafs, slopitch and retrieving golf balls from the woods. You can follow Paul on Twitter at @rellywrites.